Movement can tackle many factors contributing to onset of chronic illness. 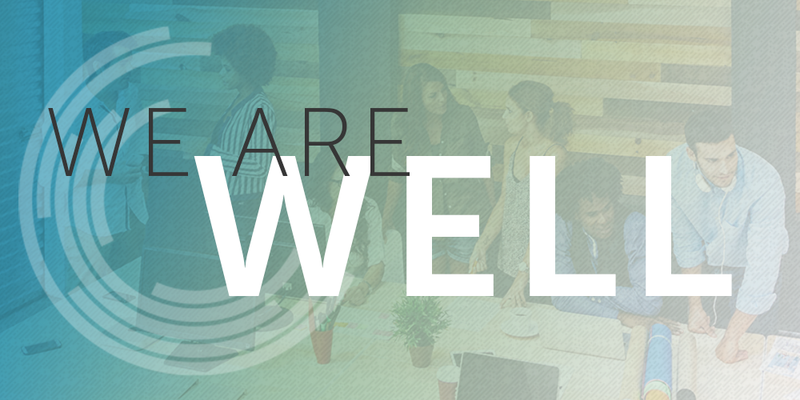 The evidence is clear: the place we work – and the movement it affords – has an enormous impact on our health and wellness. If we truly want to make our society healthier, we need our buildings and workspaces to facilitate it. That’s why I’m thrilled to be a part of the International WELL Building Institute’s new network of global concept advisories. As part of the concept advisory for ‘movement,’ I’ll be part of an exchange of knowledge, research, and experience. Along with advisory members from diverse fields and different countries, we’ll be discussing best practices, the latest literature, and how to apply this to varying work environments and cultures. Together, I believe we can put a stop to the unprecedented levels of chronic illnesses and discomforts seen in all sectors of our society. For the longest time, we’ve been focusing on how to make our buildings environmentally friendly, with less attention on the human aspect. Protecting the environment means protecting the people who inhabit it as well. Just recently, I wrote about the unforeseen consequences of LED lights. This technology is great for the environment, but, too often, is installed without consideration for the people working under them. It’s possible to protect people and the environment at the same time. 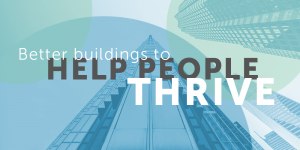 Taking a holistic approach, as WELL is doing, will help us make buildings in which people can thrive. For example, the ‘movement’ advisory is an expansion on the previous WELL category of fitness. This highlights a more inclusive approach, centred around how people move throughout the day – not just when they are getting exercise. Movement isn’t only about going to the gym. Many buildings have gyms installed to encourage healthy choices. However, in most cases, the people who frequent them are those who would go to the gym anyway. By expanding our scope, we can encourage movement at all times, such as with the use of movement workstations, taking stairs instead of elevators or office stretching. These solutions need to start when buildings are still in the design phase. If you design a stairwell to be open and more prominent than the elevator, people will use the stairs much more often. It’s all about ease and visibility. Having a basket of fruit in your office does a lot more to encourage healthy eating than simple reminders or posters. We also need to consider the requirements of the task at hand. EWI Works has clients in the gaming industry – they need much lower light levels in their offices than people doing traditional administration work. But WELL isn’t only about design. 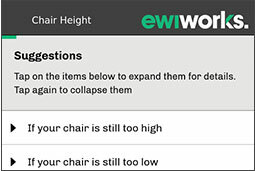 In fact, neither is ergonomics. People need to understand their work environment and how it is designed to make them comfortable, safe, and healthy. Ideally, employees should be able to adjust their workstations according to their needs and the requirements of their tasks. 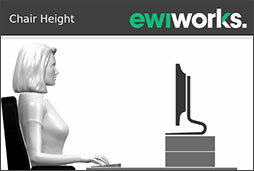 This is now possible with EWI Works’ Office Ergonomics app. If workers are given this knowledge through training and education, we could finally see a decline in illness and injury rates. This won’t be complete until we see a major shift in workplace culture. The idea of what constitutes work needs to change. People can still be working when they aren’t hunched over a desk furiously typing. People can do work while standing or even walking, such as having a walking meeting (depending on what the meeting entails, of course!). Furthermore, employees who are given time to stretch or go for a short walk will have higher overall productivity. Not only will they go home happier, they’ll be more likely to want to stay at their job. There can be a very clear path for employers to follow if they want to start implementing health and wellness. Ultimately, our lifestyles need to change and WELL’s concept advisories are a chance to get the ball rolling. If workplaces are designed to benefit the people inside them and we have a culture that encourages this, we’ll see an increase in health, wellness, happiness, and productivity. That’s why I’m working with WELL.